AR has the ability to users to experience a VR world, through portals. 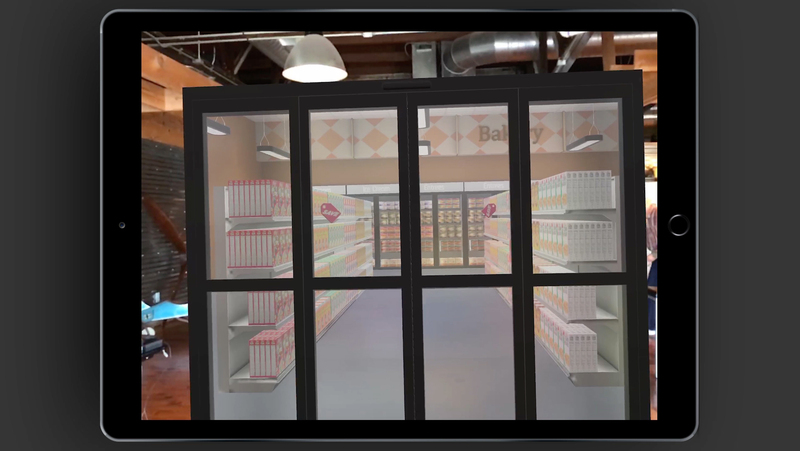 In this demonstration, we are showing how consumers can shop from anywhere in the world, by stepping into their favorite stores via an AR portal. 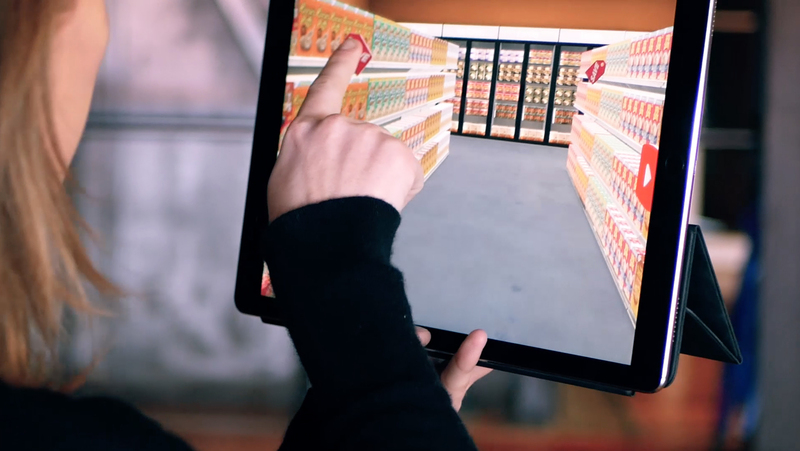 AR Portals are similar to a VR world, however you can still be aware of your surroundings. ARKit allows the user to walk in and around the spaces we create. A consumer can simply scan their living room and then drop a store front wherever they want. The image below shows the entrance to a grocery store. The customer can interact with any of the objects in the space by simple gesture controls they already know. Tap on an item and it floats off the shelf for a closer view. Swipe for more information or tap again to put it away. By using gestures controls there is no learning curve, it is simple and intuitive. In this grocery store aisle, we place interactive elements throughout. Customers can apply a coupon or watch videos. The application can play the latest broadcast commercial or demonstrate how the product is used in how to videos. Since everything is digital, we can track and report user analytics. Including powerful testing, to see what package designs consumers are responding to and what position of the shelf is lighting up the heatmap. Since the packaging is digital, we can dynamically load the content based on the user’s preferences. The App runs on the user’s personal device, so no need for expensive equipment. Once the user downloads the App, they can be up and running in no time. Crowd sourcing focus groups can dynamically increase your insight into what your audience thinks.